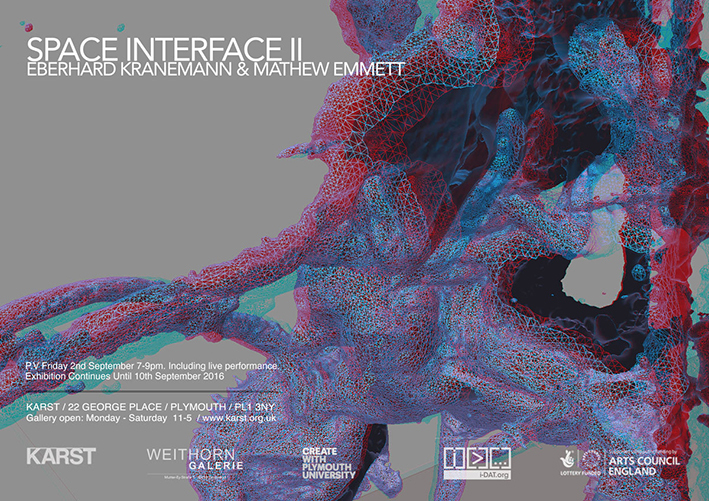 Space Interface II is a collaborative exhibition between Kranemann and Emmett who synthesise hybrid space through mixed reality performance. Kranemann and Emmett act cooperatively to acculturate the audience’s perception of physical space by creating a multi­level immersive environment in which the performers and audience are encouraged to simultaneously occupy multiple points on the mixed reality continuum. In addition to exhibiting the original Space Interface works previously shown at Weithorn Galerie, Düsseldorf (2015), Kranemann and Emmett will include new and complementary works, that address the themes and discourse of their ongoing collaboration ­ resynchronising the boundaries of art and science. 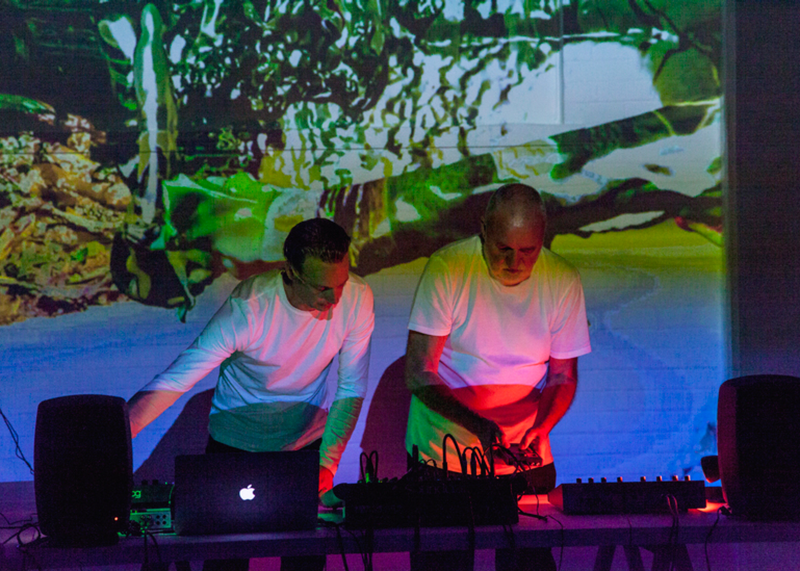 Eberhard Kranemann is an innovator in audiovisual art and avant­garde music. Having previously worked with Joseph Beuys, his collaborative practice continues to be an important testbed for the origination of experimentation. He is also known for cofounding electronic music bands such as Kraftwerk, Neu! Pissoff, and later assumed the pseudonym Fritz Müller. Mathew Emmett is an artist and architect specializing in site responsive installation, sound and interdisciplinary research in situated cognition. He trained at the Bartlett, Architectural Association and attended Karlheinz Stockhausen’s summer school, and has since performed at the TATE, exhibited internationally, and continued collaboration with dance choreographer Adam Benjamin with projects in Japan, Perception Lab, Germany and the architectural theorist Charles Jencks. Emmett and Kranemann are represented by the Weithorn Galerie, Düsseldorf. Space Interface is a partnership exhibition between KARST and Weithorn Galerie, Düsseldorf and is supported by i­Dat, Plymouth University, & Arts Council England.